You have probably realized Electricsense is not just about cell phone radiation it is about a way of life. It’s about living a healthy life in this increasingly electromagnetic world. 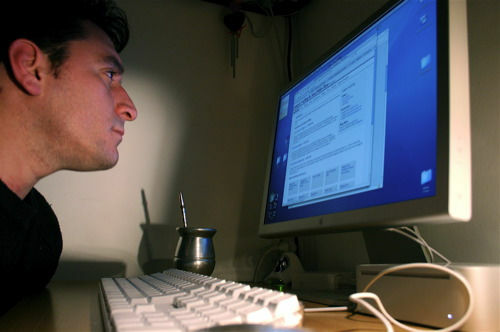 Of all the different forms of electromagnetic pollution wireless (RF) radiation, that’s to say that used by such devices as cell phones, cell phone towers and WIFI, is certainly that which is the most insidious. It’s out in the street, it’s in public transport it’s in our work places, and it’s even in our homes. You can get someone in to do some testing in your home to establish the level of electrosmog, but these EMF meters (or EMF detectors) are now so cheap and easy to use that you may want to do some testing yourself. The advantage of buying such a meter is that you can use it at home, at work, and with friends and family. 900Mhz Too Dangerous For A Microwave Oven But OK for Your Cell Phone? – though there is a lack of studies carried out on the effects of cell phone antennas on buildings have been known for a long time, in the 1950s the US Embassy in Moscow had two ambassadors die in a row with tumors, and other staff fell ill with cancer, joint pains, headaches, sleeplessness and other symptoms. Investigators found that 3 microwave antennas were pointing at the building. Interviewer: The higher up in the gigahertz frequency we get, the more dangerous it is to our bodies. Or is it a kind of specific frequency that actually is more dangerous to us than another one? Expert: Each frequency has its own characteristics. 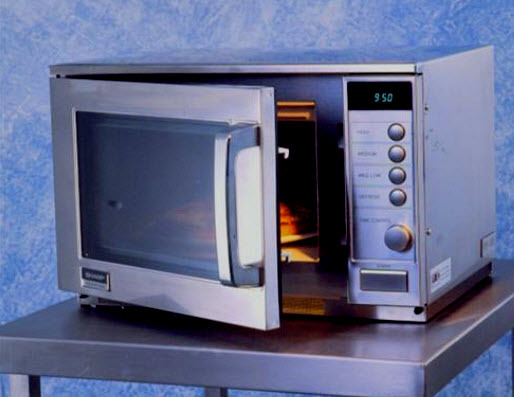 For example, the original microwave oven was designed at 900 megahertz. And, whenever they tried using the 900 megahertz, it actually came through the sides of the oven and would cook the people in the room. So they had to move up the frequency letter to 2.45 gigahertz because at that frequency it would do the maximum damage to the hydrogen molecule and cook it, but it wouldn’t penetrate the steel sides. So, therefore, it could be contained more easily. But, whenever you think that a lot of people are walking around with cellphones that are at 900 frequency, the one that could penetrate the steel sides of an oven, and you only have a quarter inch of skull, an eighth inch of skull, it’s bound to be penetrating into your brain. Interviewer: Right, but even microwave ovens leak, don’t they? They leak out the microwaves. Expert: I have testing equipment, and I haven’t found one that doesn’t leak. They all leak – even brand new ones. Because it’s very hard to contain microwaves with a door. If you have a door, the seal is usually a rubber gasket; that means nothing to microwaves. And, they do apparently all leak, I haven’t come across one that doesn’t. Interviewer: So, what happens with the microwaves? This could create hot spots if there’s metal in there? But, let’s say it’s in a kitchen room, or whatever, do the microwaves kind of bounce around? Or do they just disappear out the walls? What happens with them? Interviewer: Now, you had an interesting story about one of the banks in regards to wireless, and what they did to prevent what they claimed was internet coming in from the wireless. But, then they want to prevent people from accessing their signal. Tell us that story. Expert: Yes, it’s quite interesting. I actually had heard, or read, on the internet about 3M, a company who makes plastics, and that they had designed a plastic with a coating of lead on it. And, they made it sticky so you could put it all over your windows. I wanted to prevent WIFI from coming into the house and into offices and so on. When I called them up, I asked them who’s buying their plastic shielding and they said, “Oh, banks and lawyers.” And I said, “Why would a bank want this shielding?” And they said that it’s actually to prevent all of their secrets going out the window. Whenever you have WIFI, apparently someone sitting in a car outside the window can pick up all of your account numbers and every transmission. So, they were actually having to seal the buildings off. All the windows having to be covered in banks and so on. What they’re doing, is they’re creating a microwave oven out of the room, because now there’s nowhere for this to escape. So the levels in the room are going to escalate. Interviewer: Now, you told me that the schools in the Northern Island now are all getting brand new laptop computers, and as you mentioned, this is obviously very dangerous. Expert: There’s different ideas of why they’ve done this, but mainly on the surface, it appears to be easier. Children from a secondary school can move from room to room with their laptop and continue classes from different professors or teachers. But, that doesn’t hold up to examination, because they have it here in primary schools, and these children don’t move classrooms. So, why are they bothering to give them wireless? For the average man (or woman) in the street the problem with cell phone towers is that everybody wants more cell phone towers, to have better coverage and to be able to run more apps, but nobody wants a cell phone tower in their backyard. You can follow the logic on this, right? And yet so many people are blissfully unaware of all this. So when the cell phone company, disguises a tower as pine tree, or a lighthouse, or a bolder the general feeling is one of admiration. Aren’t the cell phone people doing a great job! If you are more on planet Lloyd and are concerned about protecting yourself from the cell tower that has just sprung up in your neighborhood, there are shielding solutions. Announcer: We all love our cell phones and that is a challenge for Cell Phone companies that have to provide good service and be good neighbors. Here is the cold hard fact; people want to use their phones, whenever and wherever they choose, but many communities feel that cell phone towers are just plain ugly so some wireless providers are becoming masters of disguise. Driving along the highway you may have noticed a rather odd looking tree sticking up above the rest. What you are looking at is actually a cell phone tower. Many communities have decided that these disguised cell phone towers are easier on the eyes and there are certain cities that now have required all new towers being built to be disguised. Andrew Messing is the president of Larson Camouflage, a company that built cell phone towers in a wide variety of disguises, from Palm trees to Water towers to flag poles. He says that they have done some grain silos in the Mid West because it would look funny to have a 150 ft tall pine tree. Cell antennas as also being hidden inside all kinds of architecture like clock towers and fake chimneys: the site very much dictates how a tower will be disguised. In addition, every antenna comes with electrical equipment which also must be hidden. In a site in Colorado, it is encased in a man-made bolder. In Arlington Virginia, Verizon wireless built a house where no one is ever home and which is filled with the electronic equipment needed to operate a traditional tower that sits in the backyard. The very nice looking house has the neighborhood fooled; door to door salesman visit it and free newspapers are dropped off at this house. At this site Verizon have been able to build a cell tower that blends into the neighborhood and is welcome. But disguises are expensive. A cell tower disguised as a tree can cost as much as 120,000 Dollars: 4 times the price of a metal tower. If all cell towers were disguised, you couldn’t afford your cell phone service. Cell phone companies camouflage the cell phone towers that they do need to. And the ones they feel they need to disguise are often in communities that put up a fight and refuse to accept a traditional tower. Towers in communities, neighborhoods and national parks where people don’t want to see a big metal pole, are often the ones disguised. Of the approximately 200, 000 cell antenna sites in the US only about a fourth are camouflaged or hidden. For many churches the wireless problem is a blessing. A church in Washington receives more that 1000 dollars a month to allow antennas to operate in their staple. Of all the 50, 000 cell towers hidden or disguised in the US, one of the more amazing ones is on Staten Island. Here a cell phone tower is made to look like a lighthouse that’s so realistic that neighbors says it attracts tourists. The only give away is that it is miles from the ocean. With the increasing popularity of text messaging and video streaming, wireless companies will continue to be very busy building more towers and if they do it the way they hope to do it, you won’t even notice them. Interviewer: So, why do we? I went to Rome to meet the man our government seems to favor over its own advisor, Sir William Stuart. He’s a scientist who’s responsible for the WHO’s position, and who founded the standard-setting body ICNIRP. He’s a controversial character. Dr. Michael Repacholi no longer works for the WHO, but he’s made decisions that affect all our lives. When you say, on the WHO website, there are no known adverse health effects, is that really giving people the complete picture of the science out there? Repacholi; When that statement was put on the website, it was meaning that no health effects have been established. And when an effect has been established, it means it has been repeated in a number of laboratories using very good study techniques. Interviewer: But Henry Lai and OlleJohanssen will say they’ve found them. There are any number of highly esteemed scientists who will say they’ve found them well beneath those levels. Are they wrong? Repacholi: If they’re published, they are in the mix because every review panel looks at all the studies along with other studies to see if they’re comparable with those studies or point in the same direction. It’s called a weight of evidence approach, and if that weight of evidence is not for there being an effect or not being an effect, that’s the only way you can tell if there really is an adverse health effect. Interviewer: But, here’s the controversy – Dr. Repacholi used to work for the very industry that helps create this form of radiation. Before working for the WHO, he’d been an expert witness for the phone industry, defending their right to site masts in controversial locations. Are you truly independent, do you think? As a scientist? Repacholi: Well, I don’t know how people perceive me, people can say what they like. I know what I am; I will only say what the science says. To me, that’s an independent view. Interviewer: You did work for industry before WHO and ICNIRP. Interviewer: And you worked for them afterwards as well. Repacholi: I did. I challenge anyone to say I’ve changed my mind because of my funder. Because I sure as hell haven’t. Until that’s resolved, it’s our kids who become the test bet. Do you wonder why Fortis needs Utilities Commission approval for advanced meters, but BC Hydro does not? Normally a utility must apply to the Utilities Commission to make a large capital expenditure. The Commission then orders a proceeding at which ratepayers and the groups that represent them may scrutinize the proposal and raise any concerns. But the government short-circuited this process in 2010 through the Clean Energy Act, which ordered BC Hydro to implement smart meters and barred the Utilities Commission from reviewing the plan. Quite likely BC Hydro’s status as a government-owned corporation encouraged the government to accord Hydro this special treatment. FortisBC, as a private corporation, received no order to implement smart meters, and so its current application is subject to review by the Utilities Commission. BCSEA supports an empowered Utilities Commission and opposes special exemptions to let BC Hydro or any public utility make major expenditures without public scrutiny. BCSEA is intervening in the review of Fortis’s advanced metering application to ensure that the meters are cost effective, and to ensure that Fortis pursues to the maximum any opportunities to conserve energy. We want to be sure that the meters are thoroughly assessed, so that the public can be assured that their concerns on all points will be considered when the Commission makes its final decision. Keep posted through the BCSEA website for news on Fortis’s advanced metering application, as it proceeds through the spring of 2013. Do you wonder why ‘smart’ electricity meters are called ‘smart’? Do you wonder what is going on with smart meters in BC? 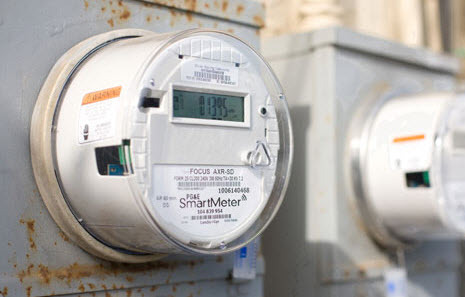 Smart (or advanced) meters are the latest in exciting high-tech electronics. In the last three or four years, utilities across North America have suddenly started installing millions of them. In 2011, BC Hydro began installing the meters for all its customers. In July 2012, FortisBC’s electricity utility in south central BC asked the Utilities Commission for permission to do the same in its service territory. Supporters say smart meters will greatly improve the efficiency and capabilities of the electricity grid, while saving money and enhancing consumer service. Detractors complain of the high cost (up to $500 per meter), the uncertain benefits, and the alleged radiation hazards to people, animals and even plants. Smart meters will deter electricity theft, mainly by illegal marijuana grow-ops, through better detection of unmetered electricity losses. Remote meter reading over radio frequencies will greatly reduce manual meter reading by people driving vehicles. This will reduce costs, vehicle miles and modestly reduce air emissions. The remote connection and disconnection of electricity service will also reduce site visits by service people. Utilities should be able to save energy by matching more closely the amount of power they put into the grid with customersí needs. If customers choose, smart meters will be able to offer almost real-time information on customers’ energy use through in-home devices: software that can speak to the smart meters and potentially even control appliances such as fridges and washing machines. Utilities will be able to offer time-of-use rates to customers to encourage energy conservation and shift demand away from peak times, when electricity costs the most. Smart meters could potentially enhance charging services for electric vehicles by allowing secure, individualized electronic billing at charging stations. Cost reductions enabled by smart meters should put downward pressure on customersí electricity bills. The up-front installation cost for 1.8 million meters in BC Hydro’s service area is $930 million, or $500 per customer. FortisBC wants to install 130,000 meters with an up-front cost of $51 million, or $400 per customer. If the cost is not balanced by the savings, the smart meter capital costs could add 2 to 3 percent to electricity bills. 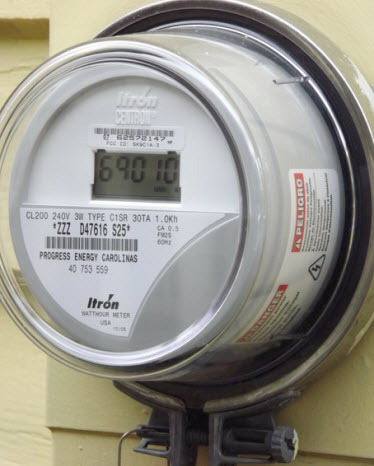 Fortis estimates it will save $105 million over twenty years though theft reduction, about half of the total estimated cost benefit from its advanced meters. BC Hydro also expects theft reduction to account for just under half of its total cost savings. But these estimated savings rely on un-proven assumptions about the number of grow-ops and how they will respond to anti-theft measures. There is no established track record from other places to confirm the estimated savings. Some customers worry about harm to their health from the radiation from smart meters. The meters emit at the frequency of radio waves when they communicate with the utility’s head office, or (if enabled by the customer) when they communicate with in-home devices that display a customer’s electricity use. BCSEA is actively reviewing the evidence on smart meters in the Utilities Commissionís review of Fortisís advanced metering application. We support a full and thorough review, including of any health hazard to humans or others. Our minds are open in the issue, but so far we have seen nothing to concern us. In a recent paper entitled “A Tale of Two Countries,” Dr. Magda Havas notes that Switzerland is now providing free fibre optic connections to schools through the Swiss government’s telecommunication provider, Swisscom. 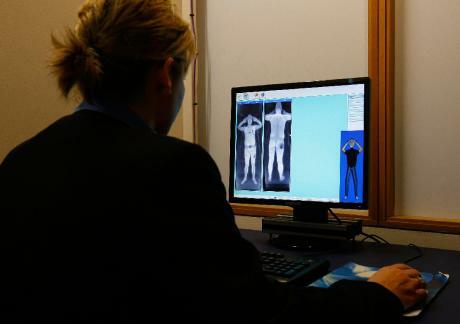 The Swiss guidelines for microwave radiation exposure to the public are 100 times more stringent than Canada’s. China’s are thousands of times more stringent. GQ’s Christopher Ketcham memorably states: “The only honest way to think of our cell phones is that they are tiny, low-power microwave ovens, without walls, that we hold against the sides of our heads.” More than 22 million Canadians have cell phones, in what is now a $17 billion industry in Canada. According to Dr. Havas’ research, health officials in various countries have issued warnings for children to limit their use of cell phones: United Kingdom (2000), Germany (2007), France (2008), Russia (2008), India (2008), Toronto Public Health (2008), Pittsburgh Cancer Institute (2008), Belgium (2008), Israel (2008), Japan (2008), Finland (2008), South Korea (2009), and the US Federal Communication Commission (2009). Following the release of the Interphone Study (see page 9), the European Union is funding a new study to investigate the risk of brain tumours among children and teens using cell phones. New research has revealed that the use of cell phones within a metal enclosure (car, train, subway, streetcar, bus) increases radiation exponentially, not only because of metal’s properties, but because the phone sporadically powers-up in a moving vehicle to reach each new transmitter en route. Dr. Devra Davis is the author of the newly released book Disconnect: The Truth About Cell Phone Radiation, What the Industry Has Done To Hide It, and How To Protect Your Family (Dutton, 2010). Davis reminded the audience that “We are up against a multi-billion-dollar industry,” which has “fostered confusion” about the issues. “Science is used as a form of public-relations,” she said, resulting in “doubt creation.” Her book explores a number of instances in which important microwave/health research has been stopped, distorted, or suppressed. She includes chilling scientific reports about EMR causing broken strands of DNA and breaching of the blood-brain barrier, which would allow the body’s stored toxins to enter the brain. “It’s not the power that’s the issue, it’s the pulsed signal,” she said. During three days of hearings on health impacts of Wi-Fi and wireless technologies, which wrapped up on Oct. 28th, 2010, Canada’s Parliamentary Standing Committee on Health heard from some of the top international experts in the field, many of whom roundly criticized Health Canada’s protection of Canadians from the dangers of non-ionizing microwave radiation. “I have heard over and over again that the levels of [EMR] exposure are low,” Dr. Johansson told the Committee. “In the room you’re sitting in right now, just from the third generation [3G] mobile telephony…you are sitting in levels that are approximately one million billion times above natural background [radiation]. There you have your question mark: are we really built for a microwave life at such extreme levels?” 4G mobile telephony is set to be released in Canada within months. Even so, we should not hold out much hope of our politicians protecting us from EMFs. The mobile phone industry in the UK contributes around £20 billion in tax every year, so it’s hardly likely the Government will take action to reduce the number of calls. Not everyone will want to follow my example. Because of our concerns about electrosmog, my wife and I have moved to a cottage in Scotland out of range of any mobile phone network. But there are small steps which we can all take. We should all try to use hands-free sets. And women should stop carrying mobiles in their bras (breast tissue being particularly susceptible to mobile phone microwaves), a trend which is becoming alarmingly fashionable.